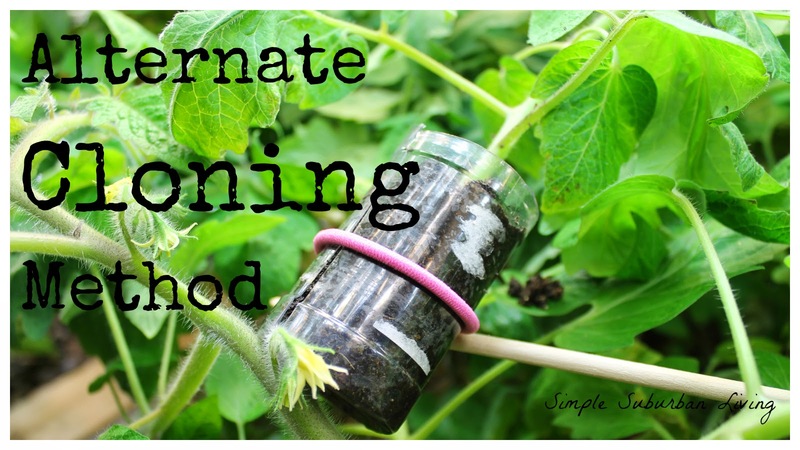 Check out this video to see an alternate way to clone tomato plants of any kind. I have used several other methods and I am hoping that this will be have the best success rate overall. In the past I have just grabbed some containers, filled them with dirt, and stuck a bunch of tomato clippings in the dirt and kept it moist for a few days. About half of them or sometimes less would make it and the rest would just get thrown into the worm bin. The tomatoes grow so quickly in the aquaponics that I had no shortage of tomato branches to clip. I am also dealing with limited space so I have to cut them back all the time anyway. What I ended up with last year was about 15-20 cloned tomato plants to start my garden in late April. This made a huge difference to the amount of production we had last year. The plants all did great and even though it was a horrible year for tomatoes we still had a good harvest throughout the summer. What I am trying to do here is come up with a more reliable way to start these clones that will save me some space and time. The idea with this setup is that the branch can start to root while it has access to the main plant for nutrients and water. This should allow for a 100% success rate with these clones which will mean more plants for my garden this year. I am just using some old seasoning containers, those cheap store brand plastic ones will work just fine. As I show in the video I am making a sort of sleeve for the branch that I want to clone that will hold some moist soil in contact with the plant until it starts to root. I have seen this work for others on YouTube and hopefully I will also have the same luck. I will post an update to this process in a week or two so stop back by to check out the progress.